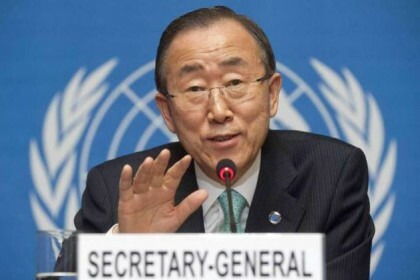 The Secretary-General strongly condemns the attacks by Boko Haram in the Lake Chad Basin countries, including the deliberate targeting of Christian and Muslim worshippers during the Muslim holy month of Ramadan in the northeast States of Borno and Yobe, Nigeria. He extends his heartfelt condolences to the families of the victims. The Secretary-General takes note of President Muhammadu Buhari’s determination to root out this menace, and commends the countries of the Lake Chad Basin Commission and Benin for their steadfast efforts in the fight against Boko Haram. The Secretary-General renews his calls to support the operationalisation of the Multi-National Joint Task Force (MNJTF) through the provision of the requisite political, logistical, and financial resources and necessary expertise, consistent with international humanitarian, human rights and refugee law.